Excessively smooth and "clean" images can sometimes be considered uninteresting and dull, so many photographers voluntarily choose to add a noise effect in digital image editing. Images that seem slightly more grainy or blurred suggest a nice vintage atmosphere and this effect can also make certain parts of the photo stand out while hiding others. reaConverter supports two different types of noise effects, with customized intensity, which can give your photos an interesting twist or can make them look better even if they were taken with a low quality camera. 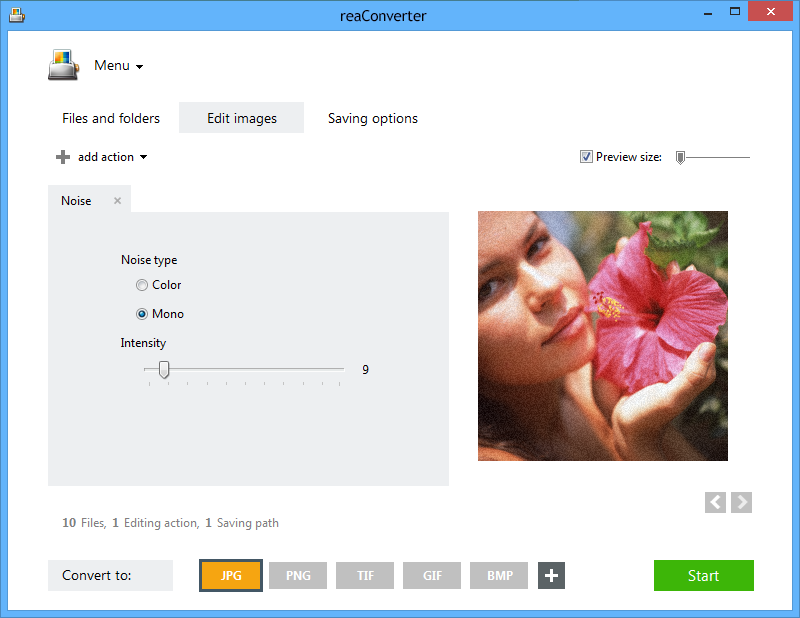 Add one or more desired images to reaConverter by using the drag-and-drop tool or by selecting them individually from your computer. Choose the type of noise effect that best fits your images and then adjust its intensity using the practical scroll bar placed below. The real time effect of your options can be checked in the right part of the window if you tick the Preview button. See how the effect works on all images by pressing the arrow buttons. 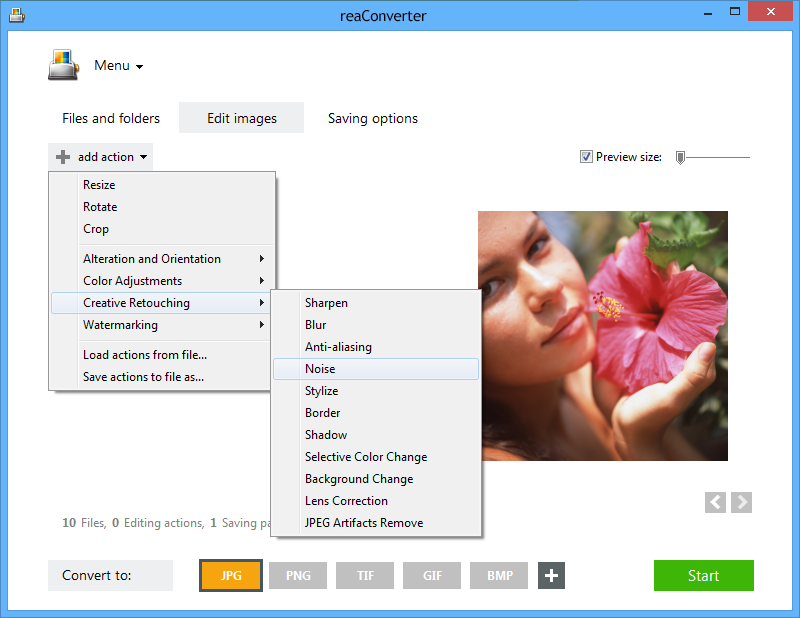 Go the Saving options tab and opt for saving your new images locally or directly online, in your Google Drive or Box.net account. Several other convenient options are available here. In addition to editing the image, you can also change its extension to one that better suits your needs. Pick a new format by pressing one of the buttons placed in the bottom part of the window, and then simply click Start — your new images will soon be ready! Command-line noise tool is an advanced feature meant for professional use, and is available in Pro edition only.